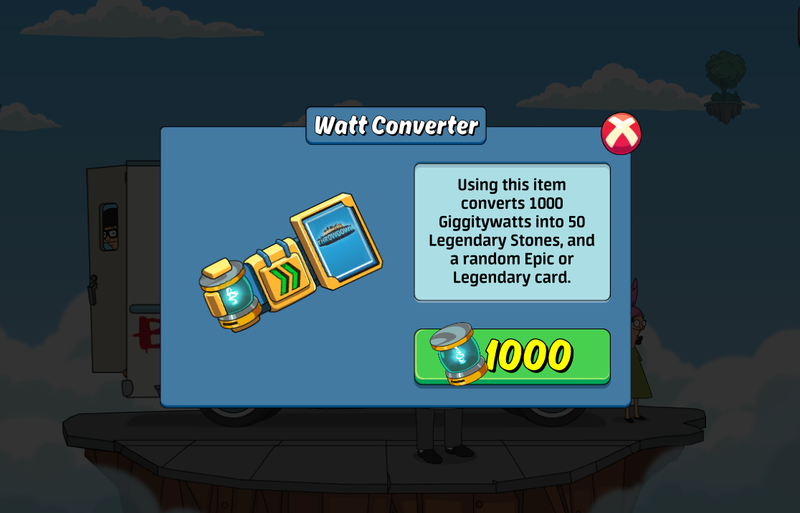 The Giggity Watt Converter is now available! Visit the shop today to use your Giggity Watt converter any time you have too many watts and need to clear some space. You have a 10% chance to receive a random LEGENDARY card instead of the Epic!